View The 615/1000HP Dyno Session Here! The Wow Factor Doesn't Even Begin To Describe How These Engines Will Set Your Ride Apart From Anything Else Out There. What Makes Them Incredible Is How They Combine Traditional Old School Looks With Modern EFI Effieciency And Exceptionally Smooth Driveability. 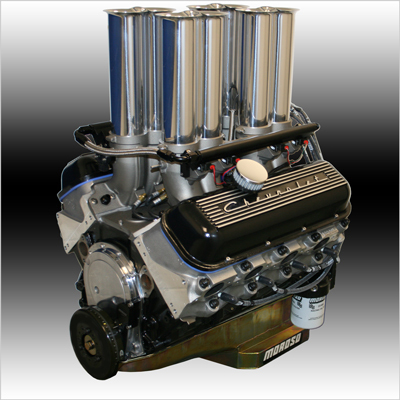 The Fact They Actually Produce Way More Torque And Horsepower Than Our Carbureted UltraStreet Engine Packages Makes This One Of The Most Potent And Desirable Engines That We Build!